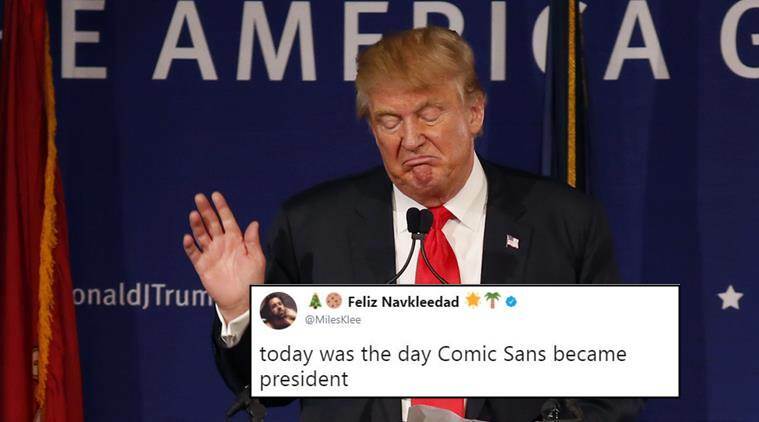 Trump’s Lawyer Issues Press Release In Comic Sans, and Learns The Hard Way That No One Should Use That Font. Bored Panda has the whole comic story, sans irony. But why is the use of ALL CAPS (also known as CAPS LOCK) so undesirable? This entry was posted in Fonts & typefaces and tagged all caps hard to read, all caps illegible, all caps shouting, caps lock screaming, what is headline case, what is start case, what is title case on March 11, 2016 by Louise. Update: the biggest difference is that the new logo has a single-deck “a”. Other more subtle changes are the rounder “o”s and “e”, a slightly longer and more traditional stem to the “b”, and different kerning. This entry was posted in Fonts & typefaces, Words, phrases & expressions and tagged Facebook logo on July 3, 2015 by Louise.